In this post, we have compiled the tips and strategy on English Section of MH CET for LLM Entrance Exam. Generally, English Subject is considered as one of the toughest to score in the MH CET LLM Entrance Exam. The English section of MH CET paper for the LLM Entrance Exam consists of questions worth 30 marks. There are 8 questions on antonyms and synonyms. There are 8 questions on antonyms and synonyms. Then there are 4 questions on one word substitution where the meaning of a word will be given and one has to find out the word whose meaning is given. Then there are 4 questions where one has to find out the meaning of an idiom. Then there are 4 questions from a reading comprehension passage.finally there are 4 questions where a certain part of the question will be italicized and you will have to substitute the italicized part by filling in the correct form of the tense or the correct part of the sentence to make the sentence sound correct. Finally, there are 4 questions where a certain part of the question will be italicized and you will have to substitute the italicized part by filling in the correct form of the tense or the correct part of the sentence to make the sentence sound correct. For questions based on antonyms and synonyms one can either go for the book "Word Power Made Easy" or find a free thesaurus online and get access to very many words along with their synonyms and antonyms. Then come questions where one has to find the correct word for one-word substitution. One can find a list of some 200 words online which are in the format of one-word substitution which will be very helpful. Idioms can be prepared through online lists present for the purpose of competitive exams. These lists can be found on websites such as idiomsite.com and idiomsphrases.com. Then come 6 questions where you have to complete a sentence. Here it will be important for you to know the parts of sentences. These parts are the subject, the predicate, direct and indirect object, transitive verbs and intransitive verbs, linking verbs and complements. Let us take a few examples. The sentence is Joe is a good boy. In this sentence "Joe" is being talked about so "Joe" is the subject. The predicate in this sentence is "is a good boy". The next sentence is "He broke the window". We have to find the direct object in this sentence. The direct object receives the action of the verb. So, the question we have to ask is "What was affected by the action?" The answer is "the window" so here "the window" is the direct object. Now let us look at how to find the "indirect object". An indirect object comes just before the direct object. The indirect object is one for which the action is done. Let us take a sentence " He gave his mother flowers.". The question to ask is " To whom did he give flowers?" The answer is " to his mother". So, in this sentence "his mother" is the indirect object. Our next query is what is a preposition. A preposition is a word used before a noun or a pronoun to connect it to another word in the sentence. A preposition usually indicates the location, direction, and time and so on. Examples of prepositions are on, in, at, by, from, for, beside and more. You should also know what conjunctions are. These are words which are used to string a sentence together. These words are used to join two parts of a sentence together such that it appears meaningful. Examples of conjunctions are so, because, and but etc. Interjections are words that convey an expression. These are "wow", "Ah", "Well" and more. Adjectives are words that describe a person or a thing. Examples are "big", "pretty", "expensive" and so on. Verbs are words that describe an action or a state. Examples are "had", "think", and "drove". You should also know what auxiliary verbs, compound verbs, stative verbs, dynamic verbs, phrasal verbs, regular and irregular verbs are. Then come adverbs which are words that describe a verb, an adjective, another adverb or the whole sentence. You should be good with tenses too. Knowledge of synonyms, antonyms, one word substitution, idioms, parts of speech, and good practice of reading fast and answering questions from a passage will help you score well in the English section. For any query, do comment in the comment section provided below. 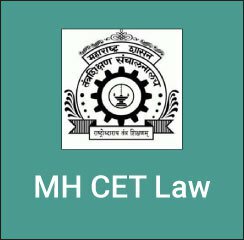 Go through the How to prepare English Section of MH CET for LLM Entrance Exam compiled by Clear Law Entrance to perform well in upcoming MH CET.